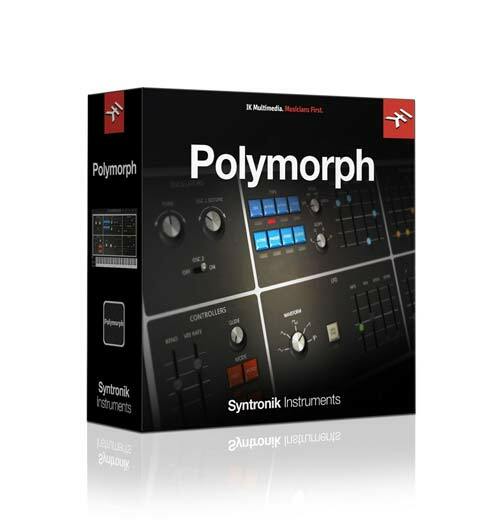 The Syntronik Polymorph captures the sounds of the Polymoog, Opus 3, Moog Rogue and Realistic Concertmate MG-1. Manufactured from 1975—1980, the Polymoog was a “paraphonic” instrument that used organ-style divide-down technology with resonators and a single 4-pole low pass filter. 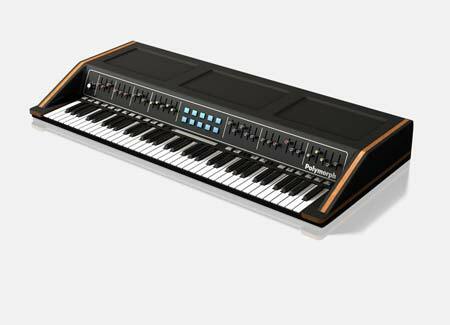 The famous “Vox Humana” sound, (used by Gary Numan for the great synth lead in his hit song “Cars”) and keyboard-type sounds such as Electric Piano, Clav and Harpsichord make the Polymoog much more than a simple string machine despite its fundamental architecture. The Opus 3 is another “paraphonic” instrument that consists of three separate sections for strings, brass and organ. The brass section has a single low pass filter that can produce some synth-like sweeps and resonant tones. Like many of its string machine cousins, the Opus 3 also features a lush analog ensemble chorus that gives it a distinct tonality that is quite different from other Moog synthesizers. The Rogue shares a similar 32-key package to the Concermate MG-1 which was sold under the Realistic brand name. However, the Rogue is a bit more pro-oriented than the Concertmate with pitch bend and mod wheels along with a great-sounding sample-and-hold in the LFO section and well-designed modulation routings that make it a surprisingly flexible synthesizer. Notable users of the Polymoog were Chick Corea, Keith Emerson, Gary Numan, Prince, Herbie Hancock, Rush, Tony Banks and Rick Wakeman. The Concertmate and the Rogue were used on many projects by Peter Gabriel, among other artists.